Are Those Yahoo Layoffs Starting To Roll Out Today? After we reported on rumors that Yahoo plans to cut as much as 20 percent of its workforce a few weeks ago, Yahoo called that number “misleading.” But layoffs do seem to be brewing, judging by the increasing number of tips we’ve been getting. On November 23, one tipster wrote that layoffs would be “officially happening after Thanksgiving but before Xmas 2010.” Then yesterday, we started getting tips that the layoffs would begin today. Some product groups that seem to be targeted for cuts include Flickr and Yahoo Groups. Go to work early and it seem conference rooms all booked up and can’t find my manager. 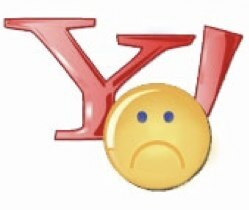 Layoffs at Yahoo today? Had a early meeting with Flickr and head of ads in NYC and mysterious no Flickr people show up. . . . odd for whole team to not show up to important regular meeting. My team was just reduced by 22% Yahoo management are fools. How do they expect us to meet our 2011 goals now? Yahoo! is always evaluating expenses to align with the company’s financial goals. Beyond that, we don’t comment on rumors or speculation. So are layoffs starting today or not? If you are a Yahoo employee and know more details about this one way or the other please comment below or contact us at tips@techcrunch.